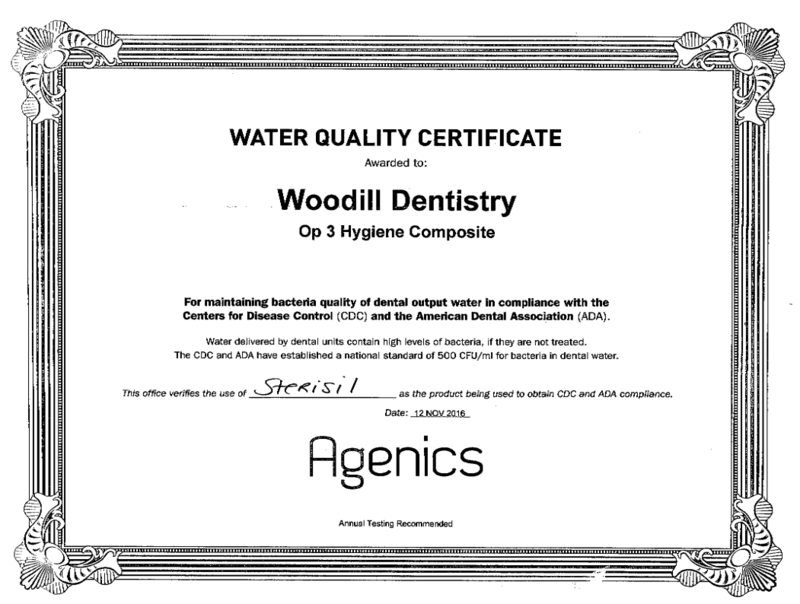 Dr. David F. Woodill, DDS has been recognized as one of the top Modesto Dentistry practices. At David F. Woodill, DDS, we value our patient relationships, making it our priority to deliver gentle compassionate care that you deserve from a dentist in Modesto, CA. We work hard to make you feel at ease by providing exceptional patient care in a relaxed, convenient atmosphere. We strive to develop lifelong relationships with our patients by combining the latest dental technology with a professional and compassionate staff. The result is a beautiful, healthy smile that lasts a lifetime. We also believe that patients should have sufficient information to make educated decisions about their oral health, treatment options and choice of dentist in Modesto, CA. You'll find all of this important information on our website, including directions to our Modesto, CA office, service descriptions, patient forms, patient education resources and more. At our dental office you will find we treat our patients with the utmost care and respect. TLC is our specialty and we are told by our many patients that they feel like they are visiting family and friends. You will always be greeted with a smile and we are more than happy to do what we can to make your visit with us comfortable and pleasant. Dr. Woodill's passion for dentistry and gentle mannerism has built a strong foundation for his practice. He understands that every patient is unique and has different needs. He will discuss your treatment options and answer any questions you might have. Besides having one of the warmest and friendliest staff available for your needs, Dr. Woodill has state of the art equipment to make your dental visit as pleasant as possible and only uses the best dental materials for a lasting smile.